Are you searching for a reliable and professional Pest Control Company in Mandeville? Contact J&J Exterminating at 985-674-9004. Click here to access our online discounts and specials. If you’ve ever seen a mouse scurry across the floor, or had ants take over your kitchen, then you know the kind of problems that unwanted pests inside your home can cause. If the thought of a rodent or cockroach in your home makes you anxious, just know that you are correct to be concerned. Having pests in your home is not only bad for your health, but they also can cause significant damage to both the structure of your home, and the contents inside. Painful bites and stings are only the beginning. Mosquitos, ticks and rodents can carry dangerous diseases that put your family at risk. Read what your neighbors in Mandeville are saying about us in our customer reviews! No one wants to spend thousands of dollars repairing termite damage. Ignoring the signs of termites in and around your home can result in costly repairs. 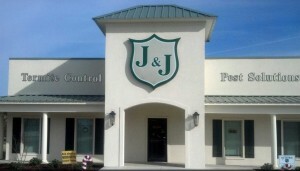 J&J offers some very effective termite treatments for your home or business. Our highly trained and certified technicians will work with you to determine the best protection for you. J&J’s Gold Shield 365 makes protecting your home easy and convenient. Our technicians will inspect your home inside and out and guarantee 365 days of protection against Brown Banded Roaches, American Roaches, German Roaches, Oriental Roaches, Smokey Brown Roaches, Millipedes, House Crickets, Fire Ants, House Ants (does not include pharaoh ants), Rats, Silverfish, Mice, Earwigs, and Centipedes. J&J Exterminating is equipped with the latest technology to exterminate bed bugs and to assist in minimizing the outbreak. If you suspect you have bed bugs, call us today for a free inspection of your home or business. We provide professional pest control and exterminating services in St. Tammany Parish and surrounding areas, including Covington, Mandeville, Slidell, Abita Springs, Madisonville, Pearl River, Folsom, Sun, Eden Isle, Lacombe, and more. At J&J we provide trusted and effective pest control for families and businesses, along with exceptional customer service. Pests in your home can cause stress and anxiety for you and your family. That is why it is important to work with a professional exterminator to employ a prevention plan that keeps pests out of your home in the first place. Have questions about unwanted pests? Call the experts at J&J Exterminating in Mandeville at 1-985-674-9004 and schedule a free inspection today! Greatest pest control service ever !! Called John at J&J one afternoon after recently buying a new business. He met me the next morning and Kevin, service tech, was there that afternoon. They are old school when it comes to dealing with their customers. I am not just a numbered account but a business owner and person and they treat me as such. Fantastic people to work with! Every business relationship should be like this! The service was great. He asked if I was having any problems with any particular insect prior to working. He was very friendly and professional. I always know he will do a great job. Very professional company and prompt service! John was very professional and explained services to be done in detail. We have used J&J for over four years. The technicians have been great and the company is excellent to work with. Thank you again for choosing J&J Exterminating for your service provider. Your business is important to us! 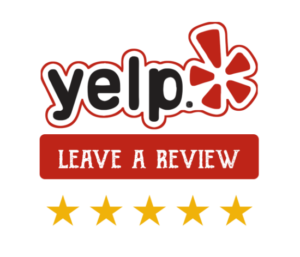 Please take a few moments to leave a review regarding your overall experience with our company. We want to insure that you are getting the best quality of service.